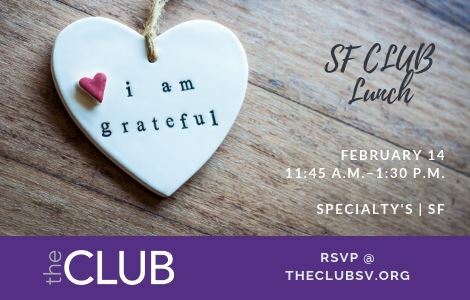 Come join CLUB President Laraine McKinnon for a casual lunch in San Francisco. Since it's Valentine's Day, we'll make it about gratitude and share some of the things we love about our personal & professional lives. Come a few minutes early to purchase your lunch before you join us at the group table.